JLTTA is a full time table tennis academy established in the year 2000 at JVPS to impart highest level of Table Tennis coaching. 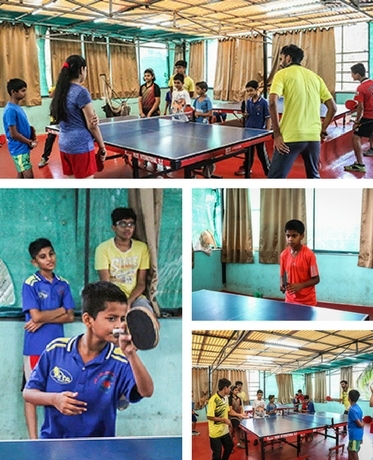 With more than 100 regular players ranging from beginners to National Level, JLTTA is the second home to many of these great potential Table Tennis champions. JLTTA’s success is its unique program to create grass-root level to elite level players with its multi-level coaching system. Help Organizing Tournaments, Arranging Equipment, Logistic Support, Referring Support. Training Camp for Juniors, Seniors and Adults. “Sir, so I ended my last session of table tennis with Jltta today on March 10,2017.